“Voice” (just thinking out loud here) is not only the voice of the characters and the words in their dialogue. We can all demonstrate Eeyore, of course. And Holden Caulfield. Scarlett O’Hara. Kinsey Millhone. Amy in Gone Girl. Andy in Defending Jacob. But “voice” is in every cell of the writer’s words. You can tell a Julia book from a Hank book, Hallie’s from Roberta’s, Rhys from Debs and Susan. It’s how the book IS, how the sentences come out, the vocabulary choice, and tone and the rhythm and the music. And now I’m thinking, well, you know it when you read it. Which brings up Rachel Howzell Hall. See if you agree. It takes balls to write a crime novel – a different set, though, from the ones needed by real heroes, like cops and firemen, soldiers and teachers. Ninety-thousand words all dedicated to a make-believe world with characters who don’t exist saying things that come from nowhere and it’s all so clean and funny and la-la-la. Except, for me, sometimes it’s not so clean and so funny. For me, it’s more, ‘What the hell?’ than la-la-la. That’s because I write mad. Sometimes, on days when I don’t feel like heavy lifting, I wish I could pick a topic, any topic, to write about. A story about X meets Y and then they Q. Fin. But I want to persuade you. Convince you. Get you mad, too —at the characters, at the situation, at the similarities between real and imagined. And in order to convince you, I need to believe. I need to feel. Ninety-thousand words. That’s a lot. And it takes nine months for me to finish a story. That’s a lot of time. And because of this ridiculous commitment, I need to push into the light those issues that tick me off so that Lou Norton, my LAPD homicide detective, can confront them. Right those wrongs. Point out the elephant in the room and hang curtains on its trunk. So how do I find wrongs to right and elephants to decorate? Just by taking a look around. Unfortunately. Violence against women will, alas, propel me through at least 600 books because it never seems to abate. More women are murdered each year. More women are raped. More girls are snatched off the streets. Girls can’t walk on the sidewalk without cars slowly rolling past them. Girls don’t go off alone and must always travel in groups when vacationing in Aruba or Cancun or the cantina around the corner. More. Don’t. Can’t. More. Don’t. Can’t. It breaks me sometimes to see ‘more women…’ and ‘women can’t…’ especially as a mom to a ten-year old daughter. But I, too, indoctrinate her. Don’t talk to strangers. You can’t wear that skirt without shorts underneath. Don’t wander off on field trips. Enter Lou Norton, my heroine in LAND OF SHADOWS. In this story, she’s confronted with the disappearance of her missing sister and dealing with the murder of a girl who mirrors that missing sister. Identity, sexuality, loss—a lot there that moves me to write. Who are girls and women supposed to be? What is expected of us? What happens when we ‘stray’ from the so-called virtuous path? Even as a law enforcement officer, Lou is Woman and therefore, subject to the “More. Don’t. Can’t.” rules in life. And she sees first-hand what happens to girls and young women when they don’t heed “More. Don’t. Can’t.” She tries to right wrongs but in a city of 9.9 million, there are so many wrongs. What propels you to the end of a story? RACHEL HOWZELL HALL is a writer/assistant development director at City of Hope, a national leader in cancer research and treatment. She lives in Los Angeles with her husband and daughter. 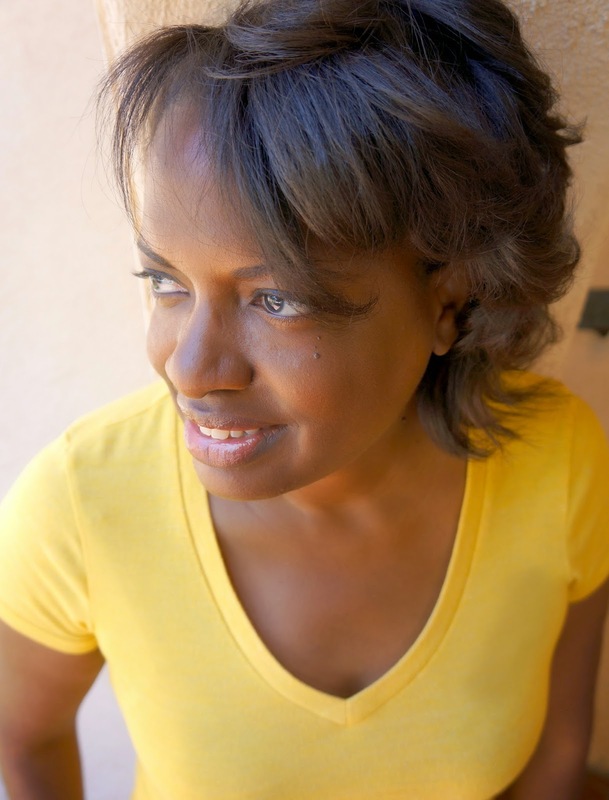 Along the ever changing border of gentrifying Los Angeles, seventeen year old Monique Darson is found dead at a condominium construction site, hanging in the closet of an unfinished unit. Homicide detective Elouise "Lou" Norton's new partner, Colin Taggert, fresh from the comparatively bucolic Colorado Springs police department, assumes it's a teenage suicide. Lou isn't buying the easy explanation. For one thing, the condo site is owned by Napoleon Crase, a self made millionaire. . .and the man who may have murdered Lou's missing sister, Tori, thirty years ago. As Lou investigates the death of Monique Darson, she uncovers undeniable links between the two cases. But her department is skeptical. Lou is convinced that when she solves Monique's case she will finally bring her lost sister home. But as she gets closer to the truth, she also gets closer to a violent killer. After all this time, can he be brought to justice... before Lou becomes his next victim? Somehow I doubt that the beleaguered Los Angeles police will ever be able to right all the wrongs, but I can relate to the mad and the frustration. Your book sounds quite fascinating; "Land of Shadows" is definitely going on the top of my to-be-read pile . . . .
What a voice! Yes! Why didn't I know about Rachel before! Yes, I write angry. Pfft. You know I do. Welcome Rachel--wonderful post! And such an interesting idea about how we write. Would love to hear where your ideas come from--does the character come first and then the idea or other way around? Rachel, Welcome - I have enjoyed this and I too wonder how I could have missed meeting you sooner! Land of Shadows is a book I look forward to reading. I think I write a lot of my shorter pieces mad - very mad. Short bursts of mad. But I also write from a deep sense of nostalgia, belief in possibility and magic and a feeling of "if only." I do see: voice! A fierce one! It's a wonderful thing. Welcome Rachel! I confess, I sometimes like to write La, la la ... then go creepy. You've got to have somewhere to go TO. And whatever your voice it's got to be nuanced and modulated. Whenever you ask an agent or editor: what do you look for in a manuscript, the answer is always VOICE. Sometimes I write made. But I hope I'm at least writing to a point of hope. Because unrelieved anger is tiring. Sometimes, you need a little light. And crime fiction does leave a lot of opportunity for mad. That would be "write mad." Sigh. Yes, Rachel, you really made me think about this. I think I write--determined. Sort of how I feel as a reporter--I have to FIND OUT. So my characters are doing that too. They are determined and focused. ANd when they;re funny-aor cynical--that's the thing that makes them more human. love this! more to come..
Ah, the ever-elusive voice. Hard to find, but once you do...it's magic! Thanks for sharing yours, Rachel. Your book sounds like a winner! Rachel, I love that you write because of "More. Don't. Can't." More of us should do more (of everything) in reaction to those words and strictures. Hope to see you around LA! Buying Rachel's book NOW. Great work -- so important -- keep it front and center, and do not let go. Some days we are discouraged by all the violence against women, but there are ways to get attention -- and fiction is an important element! I'd love to know that too, Rachel... what was the very first germ of the idea for LAND OF SHADOWS? This is going to sound strange, but I think I write in pursuit of happiness. Most of my characters, regardless of series--have an ongoing belief that things will get better if only Q. (Thank you for introducing Q to the equation!). Your book sounds fabulous, and Hank's right: strong voice! And sometimes I'm funny, but people don't always hear that. Wow, Rachel! I can feel your energy just in this post. It must be amazing to read in your books. And, when I say "energy," I'm crossing into that mysterious land of "voice." Stories are always at their best when voice is strong and unwavering. By strong, I don't mean it has to be aggressive, just recognizable. It is the intent of the author shining through her characters to create a rhythm of consistency. It is the single hardest aspect of writing to teach to young people. I used to think you either had voice or you didn't, and some students seemed to fall into these parameters. But, I now feel that perhaps I was being a bit quick to judgement. Perhaps, it just takes some longer to find their voice in writing. Those who are blessed with it right out of the gate, but it could be a matter of learning to trust your instincts. I'd be interested to see how others view that. 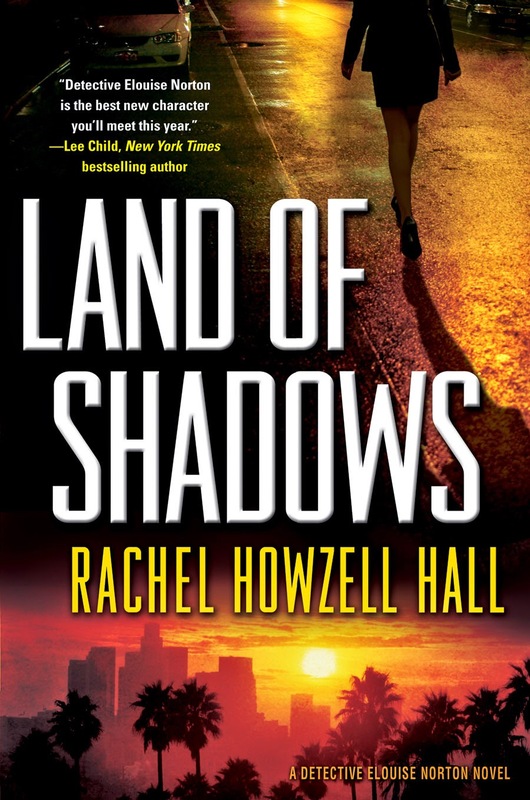 Rachel, Land of Shadows sounds so captivating. I didn't want the description to stop. I am thrilled to discover you here on the Reds. In pursuit of happiness! That;s wonderful, Diane. And you can instantly see how that would change the voice. Writing "In pursuit of"--what do you all think about that? Ramona? Sorry for not getting here sooner! I'm sitting in Compliance Training for my day job, complying and wishing I had better Internet connection! I should be up and running and chatting with y"all this afternoon! Like you, I have lots to say! Thanks for stopping by -- your support means THE WORLD to me"
Joan, you're right -- Los Angeles is too big, from population to acreage. So much to do. So many wrongs to right. But one life saved, right? What's that saying? The turtle made it onto the Ark. And Lou Norton is faced with that type of challenge. Thanks for putting LAND OF SHADOWS in your pile! Nice to meet you! And thanks so much. Hi, Lucy! Thanks for stopping by. Even in Land of Shadows, there are moments of humor -- you have to laugh to keep from crying. And one of Lou's best friends Lena serves as her court jester in some ways. My ideas come from everywhere -- we writers tend to be gluttonous vampires who consume and leech off everything we see! Fortunately, now that Land of Shadows is a true series, I don't have to worry about character as much (still a little since I haven't placed Lou in every situation possible). So it's more idea first -- again, what captures my attention, what makes me stew and stew and piss me off. What am I trying to get control of in my own life that can be a jump-off point for Lou, the countess of control freaks! Hi, Kaye. Thanks for putting me in your 'To Read' pile! I love the 'if only' -- sometimes, that goes hand-in-hand with the anger... Belief in possibility -- I often wonder who I'd be if key people were't a part of my life. For Lou, who would she have become if her sister had been around? Would she be a cop? Would she be with a different type of husband? That fuels my writing too, even if it's at the back end. And maybe we'll meet one day -- I'll be at Boucheron in November! Hi, Hallie! Pleasure meeting you. I like the la-la-la and then, coming in with the shiv! It's like those doggie pill pockets, right? I want my writing, my stories, to be one big doggie pill pocket. LOL And voice is key -- it took me a moment to find mine, be comfortable with it and fly because I'm an avid reader. And so I admire so many people who I could never write like and that used to be discouraging, how so-and-so can turn a word, and damn, I can't do that and on and on. But I've matured as a writer and I've found my voice and I hope you like it! Determined is a great way to describe it, too! It's more than 'oh there's a dead body there' or 'that woman's beat up' or 'there's a child wandering alone in the mall, where is the mom'? It's also WHY IS THIS HAPPENING? Why? And how can we stop it from happening the next time? Hi, Cyndi! Thanks -- I feel like a winner just being here with y'all! Thanks, Denise, for your support! Thanks for stopping by. Angeleno, huh? I'm a native, which means I love -- and hate-- Los Angeles. I'm in the Crenshaw District. Where are you? Susan. Tell me about it. Unfortunately (and for writers, fortunately), the world provides us with a Buffet of WTF. So much to choose from and maybe, when I'm gone from this world, my daughter and her kid will pick up the pen and continue the battle. Land of Shadows first popped into my mind when I wanted to write another story about sisters (my first novel A Quiet Storm also features a sister relationship). I have a younger sister and it's one of the most important relationships in my life. Gretchen has definitely shaped who I am today. What if she were taken from me when we were kids? What if she were no longer around -- and no longer around because of something she may have done? And how would I cope? How would I honor her? How many holes in me would I have, and what holes would those be? Hey, Diane. I love that - the pursuit of happiness and if only for Q. Lou, as she's trying to solve the current case. thinks about her sister's unsolved case and at one point, she's not sure if she wants to know the truth, wants it to be over. She's held on to it being unresolved for so very, very long that it's now become a part of her. Like... like... one polyp being a part of a coral reef. What is happiness to her? Closure? What is closure really? Because you have, 'And then what?' In many ways, even knowing doesn't bring true healing. I don't know and I like figuring out these things through writing and reading. Oh, Kathy, thanks for saying that. Such a great way to describe voice! And thanks for your support. I know, as a reader, it's critical for me to have a character who believes something, for the writer to believe something. And both need to try to convince me of THAT THING WHATEVER IT IS. There are too many good books in the world to spend time with characters who don't care -- and don't care that they don't care. You know? That doesn't always means doom and gloom all the time, but even in light-hearted romps, tell me why I should join you in the journey? Why should I go shoe-shopping and wine-tasting with YOU? Hope that makes sense. I definitely need to "meet" Lou on the pages of your books! If she's mad, I probably will be, too, and I'll want to know how it all turns out. Rachel, you are amazing! What a wonderful guest--and you can come back ANY time. My husband is a lawyer, and its great to have in-house counsel. But whoa, a WEB guy?? Jackpot. The sister relationship, so interesting. I'm dealing with that in my new book, too. Very special. YOu won't believe this, it's so random! But we are off to see Hamlet. The play, not the guy. I write calm, with the temperature just below the point where the surface shows its true heat. Lets me throw in the unexpected twist. And they usually don't see it coming. THREE AND A HALF HOURS! It was really great..but whoa..
thank you so much, all! And Rachel, you are fantastic. and the winner of LAND OF SHADOWS is Cyndi Pauwels! Cyndi, emails me at h ryah at whdh dot com with your address!